Plastic and metal scrap as well as old pieces of jewellery got a new look with gold spray. I still haven´t had quite enough of it. 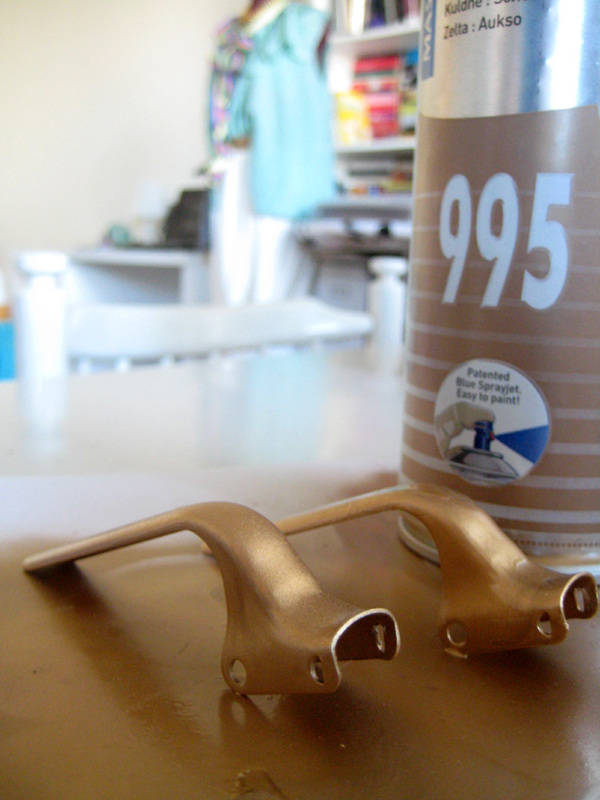 I bought a gold spray can a while ago. I didn´have a specific purpose for it in mind, I just new I had to have it. 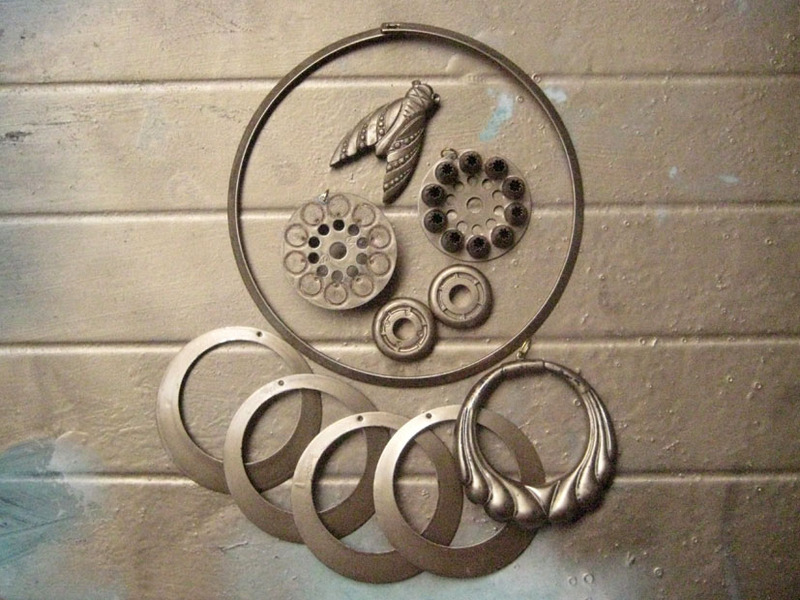 I´ve already used it to some pieces of jewellery and on a painting. 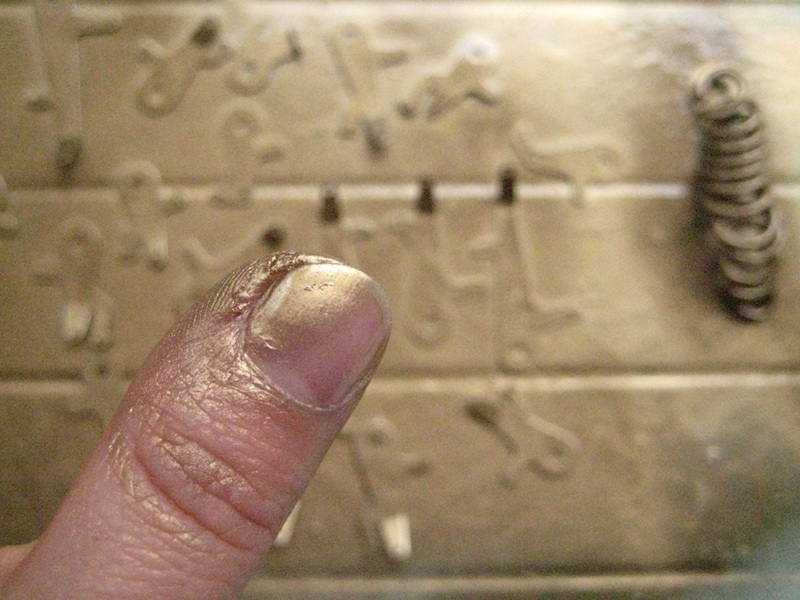 Let´s see what I´ll manage to create using this golden touch.